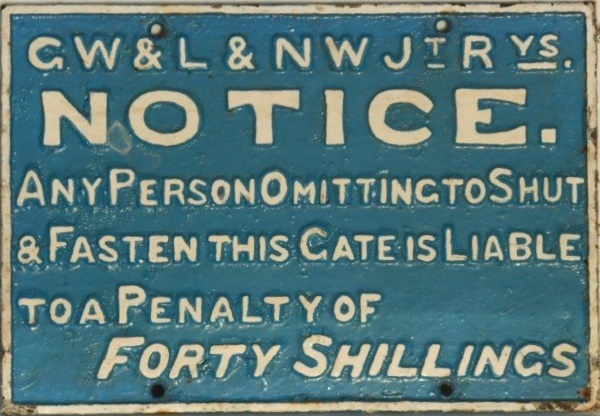 Lot 67 C/I Notice "GW & L & N W JT Rys NOTICE" - FORTY SHILLING GATE NOTICE. Front restored. Ex Onibury Station.